Here is your chance for central bucks living at an affordable price. 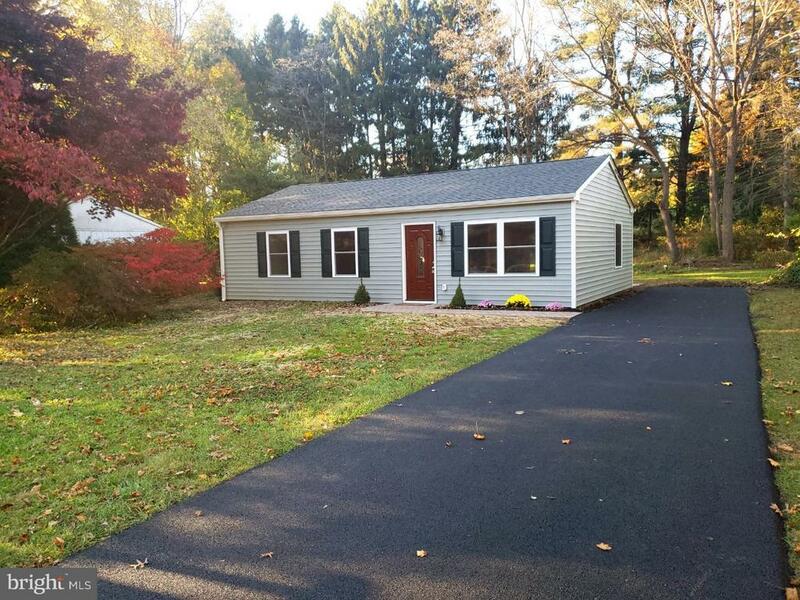 A Beautifully renovated ranch home sits in a quaint neighborhood minutes from Doylestown borough. The open floor plan layout maximizes the space well. The living room opens up to the new kitchen cabinets with quartzite countertops and crown molding, completed with a French door that opens up to your back patio. The bathroom has been completely updated with new fixtures and tile surround tub. The spacious main bedroom has a walk in closet with shelving unit. The entire home features wall to wall high end laminate wood flooring. All the mechanicals have been replaced including a new electric service cable and circuit panel, new heat pump with electric back up, new well pump, tank & well casing head, Hot water heater installed in 2016. New windows, doors, siding, and shingles have all been installed on the house. With just under a half acre of space, dont miss your chance! Builder is offering the buyer a package to build a one car garage for an additional $20, 000.